Even though I travel a lot I manage to find things I've never seen before. 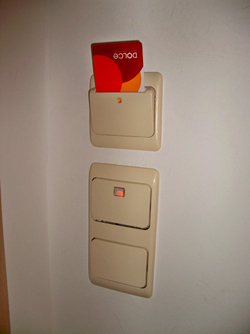 I stumbled around my room in Brussels for quite awhile trying to turn on the lights before I discovered I had to put my key card in the slot to turn on the lights. Energy savings. 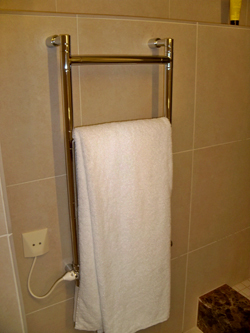 My time in the dark was made up for by a towel warmer. This I have seen before of course but still so very appreciated. Ahhhh. you need to get to europe more often if you only now have run into a keylight! they've been around for at least 10 years.